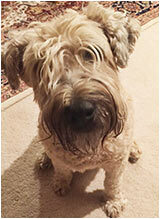 Introducing the lovely Molly, a 9 year old soft coated Wheaten Terrier. Molly enjoys playing chase at the Community Dog Park and is a big fan of Waterloo leftovers. Who isn’t? She is also an avid ear licker. If you see Molly and owner Jill, make sure to say hi! 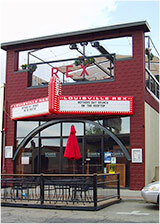 Constructed in 1908 as a billiard hall, this structure became a movie theater from 1911 until 1977. The painted canvas curtain (Recently voted a significant Colorado State historic artifact) is on display at the Louisville Historical Museum. The facade of the building is protected by a conservation easement. Talented national and local artists showcase their work at the galleries and stores Downtown. Enjoy an evening of good art, good food and drink, and good friends. Friday from 6:00 – 9:00 pm. Planning is underway for the 2017 Street Faire! This year we have added one more concert night so there will be 8 exciting shows. Our band lineup is looking great and we are looking forward to seeing you down at the Faire. Dates are: June 9 – August 11 with July 4 and August 4 off. If you’d like to be a sponsor, vendor or volunteer, go to our Street Faire site The Louisville Downtown Street Faire and be a part of this unique community event. We’d love to have you! 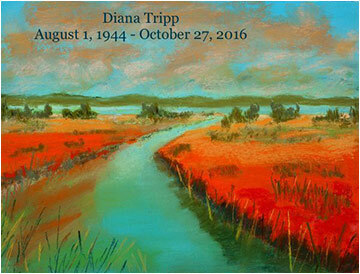 A special show featuring over 50 beautifully custom framed original paintings by Diana Tripp and over 60 matted giclee prints, will be available to help Diana’s family with medical expenses. The show will be open to friends, family and collectors from 6:00 pm and the general public at 6:30 pm. Please help support Diana and her family on the First Friday Art Walk of the year. Ski or snowboard season is here. Whether you are a skier, snowboarder, backcountry skier or snowshoer, take this 90-minute workshop to prepare for your season’s endeavors. The workshop will focus on breathing techniques, balancing, stretching and strengthening core muscles as well as body awareness, mindfulness and stability. Instructor Cassie has been skiing for over 20 years and has been practicing yoga for 12 years. She teaches a powerful vinyasa flow that focuses on safely strengthening the mind and body to increase body awareness and mindfulness during your personal flow. All levels of yoga welcome. Cost is $20. Need socks? Need jewelry? Need dish towels or Colorado hats? Old Friends invites you to their inventory sale where you will get 20% off everything, excluding consignment. Valentine’s Day is coming up. Perfect time to grab a gift! The store will be closed for inventory February 15 and 16. Are you or your child interested in learning a new instrument, or refreshing a forgotten skill? Dana V. Music, offers private lessons for voice, piano, violin, viola, cello, guitar, clarinet, saxophone, flute, and trumpet! Check out the website, www.danavmusic.com, for more information. Catch Dana V. Music students performing in the Youth Spring Art Show! The Flatiron Youth Chorale and soloists will perform in Louisville Art Association’s Youth Spring Art Show at the Louisville Library on March 2! Performances will be from 5:30 – 6:00 PM and then again from 6:30 – 7:30 PM. Sweet Cow opened up barn door no. 6 on Jan. 24 at the Stanley Marketplace in Aurora (2501 Dallas St.). 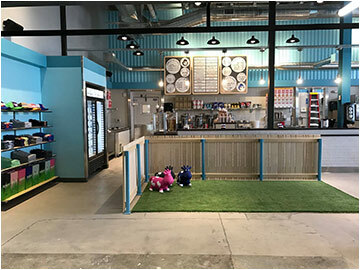 We’re so proud of our hometown ice creamery and the growth they’ve experienced over the last few years. Make a plan to go grab a scoop and say hi to the shiny new shop. Owner Josh Karp reports that Waterloo will move next door to the Madera/Rex building and will be ready to open a new, expanded and super delicious Waterloo in early Spring. How about afternoon tea for Valentine’s Day? A special Valentine’s Tea will be available from February 11-19 at the Huck. Indulge yourself and your loved with a traditional tea service only the Huckleberry can offer. For reservations call 303-666-8020. 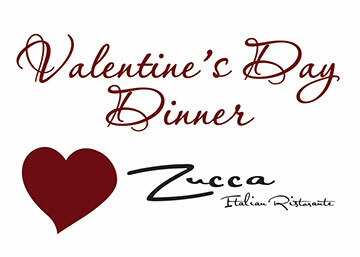 Nothing says amoré like a 4-course prix-fixe Valentine’s Day Dinner at Zucca. This romantic meal is $50 per guest with an optional $18 wine pairing flight. For reservations call 303-666-6499. Scotch Flight Night on February 15 from 6:00 pm – 8:00 pm. This unique event will feature Balvenie, Glenfiddich and Kininvie the three malt components that form Monkey Shoulder’s smooth, malty and fruity character. The night will finish with a Monkey Shoulder specialty cocktail. So if you like Scotch, book your flight now! We bid a fond farewell to the Blue Parrot, an iconic Louisville landmark and the oldest Italian restaurant in Colorado. We will miss the homemade pasta, sauce, meatballs and sausage, but mostly we will miss the traditions we set there generation after generation. The Library is hosting a monthly series featuring local professionals and experts who present on valuable topics such as Medicare, Understanding Credit Scores, College Funding, and more. The evening workshops are designed to help consumers learn how to be savvy with their money and improve their skills when using credit. This presentation focuses on vocal techniques to help business owners get their point across and have their message heard. Presented by Rebecca Abraxas, voice and presence coach. 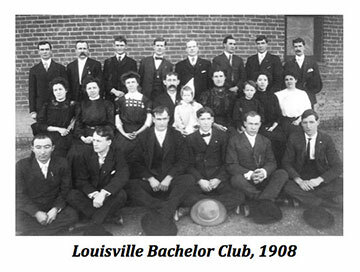 This is the kickoff to the 2017 First Friday Art Walk series at the Museum that will focus on lesser-known aspects of Louisville history and culture, with a different topic each month. Call 303-335-4850 for further information.